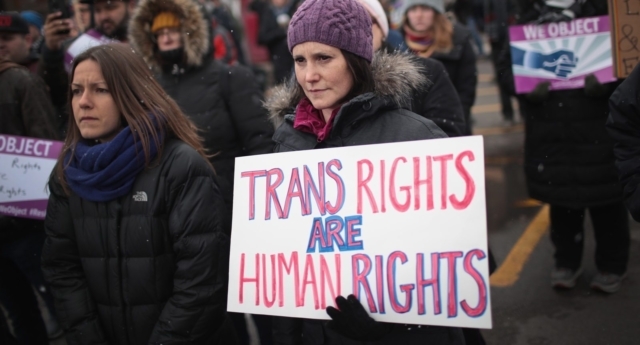 A global study into the treatment of transgender people has revealed that three in five people deliberately misgender trans people in order to cause disrespect. A study carried out by Ipsos looked into the treatment and social perception of transgender people across 16 countries. Argentina, Australia, Belgium, Britain, Canada, France, Germany, Hungary, Italy, Japan, Poland, Serbia, South Korea, Spain, Sweden and the US were all surveyed. Ipsos found that Americans were most likely to misgender a person on purpose, followed by Australia, Canada and Britain. They also found that only one in five people would be ok with using the gender-neutral pronoun “they”. It should be noted that questions about pronouns were only given to people living in countries where English is the primary language. However, Ipsos hope that they will soon “develop similar custom questions language-by language in the future”. Regarding the “tolerance” of transgender people, six in ten said they believed that their country was becoming more accepting. This belief was highest in Argentina where 78 percent of the population thought that they were becoming more tolerant of trans people. Hungary, Poland and Japan were the least likely to say that their countries were becoming more accepting. Spain, Argentina and Britain were the nations most likely to agree with the sentiment that trans people are brave with 74, 70 and 69 percent of survey respondents agreeing with the statement. An average of half of all people surveyed said that they believed being transgender was natural. People in Italy (11 percent), Spain (nine percent), Argentina (13 percent), and France (13 percent) are least likely to believe that transgender people have a form of mental illness. This compares to two in five people in Serbia (44 percent), Hungary (43 percent), and Poland (41 percent). When breaking down the data, the US is the most likely to believe that transgender people have a mental illness amongst the western countries with 32 percent of those surveyed agreeing with the statement. It was also the most likely western country to believe that trans people are committing a sin with their gender, with 32 percent of Americans agreeing to the statement.